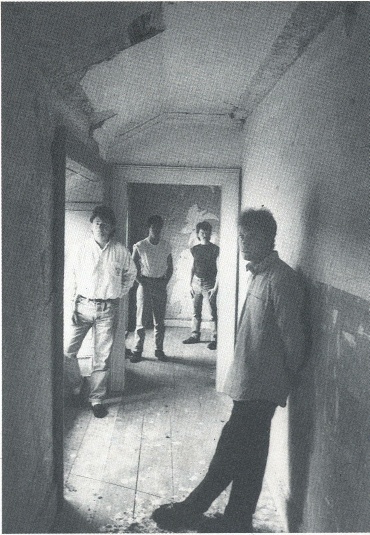 Circa 1987-88 Dublin southside band, from the Sallynoggin area. At least one gig was recorded on video (not professionally but by a friend of the band with a camcorder) at the Baggot Inn. The opening act Cat Magic were also videoed and surviving members of the latter band are very keen to see this video footage, so if you're reading this and you still have the tape please get in touch!). Larry Mullen of U2 came by to view JFK at one of their Baggot Gigs and expressed a keen interest in them. JFK also had a residancy at Killiney Castle. One of these shows was professionally recorded (but where are the tapes??). Their demo was reviewed in Hot Press in 1988, described as good pop/rock, accomplished but unadventurous. 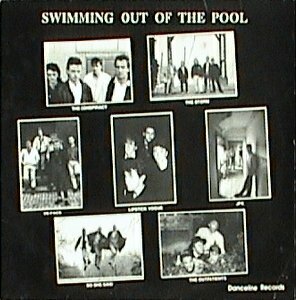 They had two tracks on the Swimming Out Of The Pool compilation LP the same year and appeared twice on Jo Maxi on RTE Television. A demo recorded at Landsdowne Studios (possibly the same as the abovementioned one) led to the band landing a recording contract; however, this all fell apart during contract negotiations which ultimately led to the demise of the band.